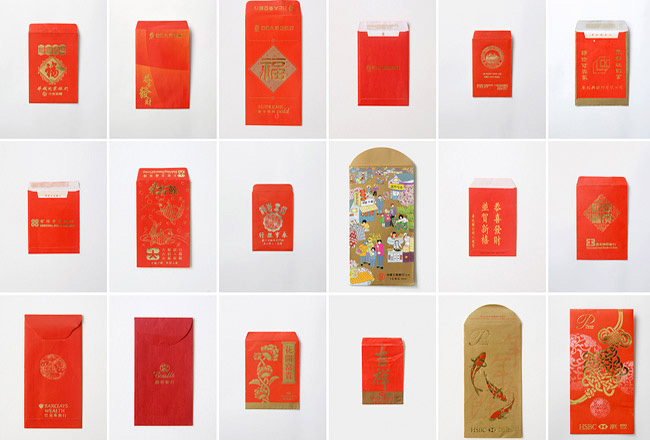 Endless Prosperity, Eternal Accumulation is a photographic series of eighty images of hongbao—commonly known in North America as Chinese red envelopes. 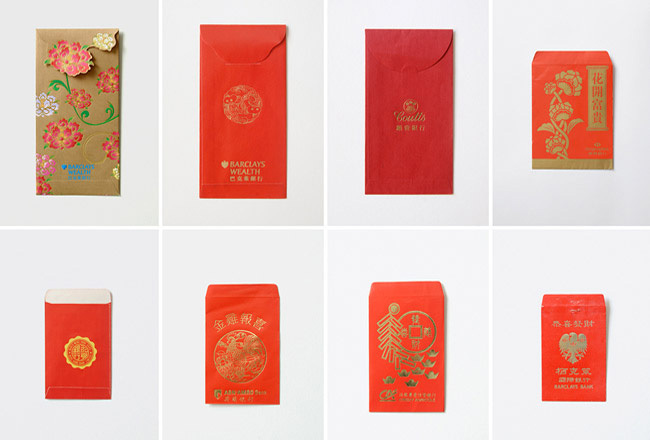 The Chinese use hongbao to give gifts of money at various festivities and social events. 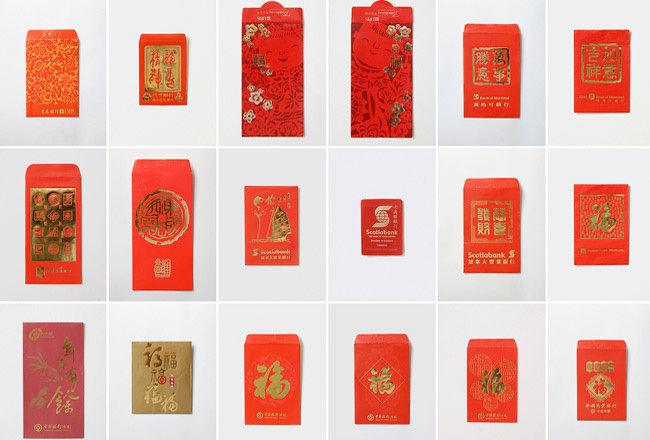 The red envelopes can be traced back to the earlier traditional practice of distributing currency wrapped in red paper as a symbolic gesture of circulating prosperity and fortune to the younger generation. 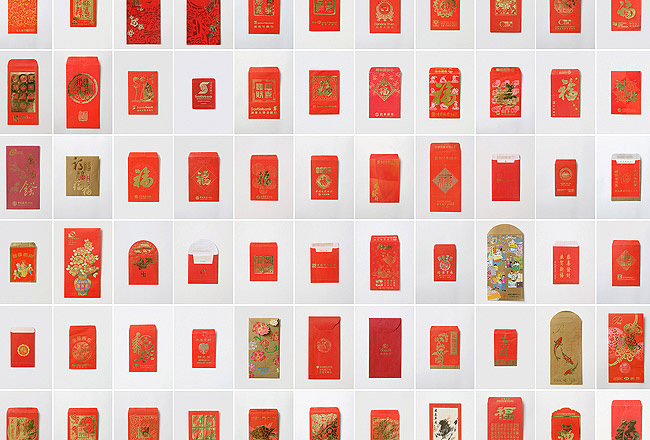 The collection of envelops photographed in the work are of contemporary hongbao printed by transnational financial corporations from the United States, Canada, the United Kingdom, the European Union, East Asia, and China and given to Chinese clientele. On one level, these corporate hongbao are a shameless infiltration of a traditional cultural practice for branding and marketing. 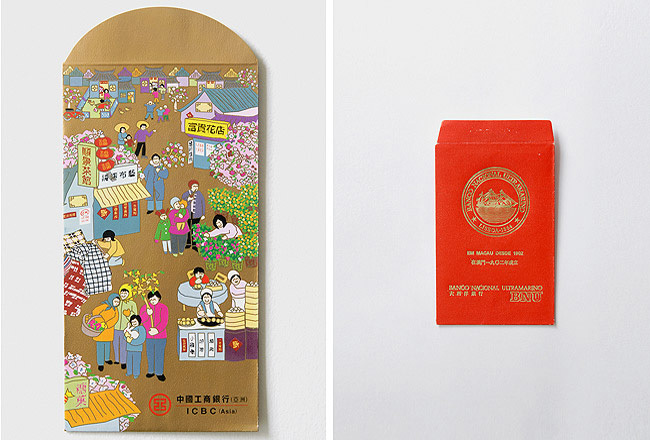 In a second more sublimated way, the envelopes contain a complex juxtaposition of corporate logos and ancient Chinese iconography and script, references to Chinoiserie and Chinese art, and colonial-era symbolism that reveal the historical and cultural aspirations of corporations: as universal entities that transcend history and cultural difference. 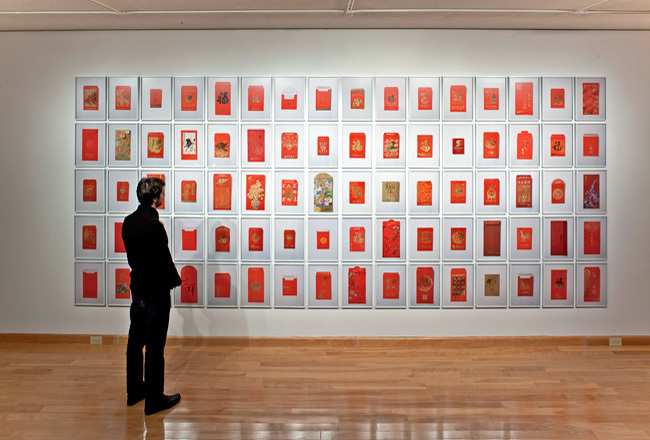 Presented as a panorama of eighty individually framed photographs, the work also attempts to register the parallels—or complicity depending on your point of view—between global finance and the Chinese diaspora. The assortment of bank logos reveals a network of Chinese settlements and markets across the world, while the maritime imagery and Chinoiserie allude to the historical encounters between China and the West. The title Endless Prosperity, Eternal Accumulation is an amalgam of Immanuel Wallerstein's observation that capitalism is defined and limited by endless accumulation and the popularity of notions such as "prosperity" and "the eternal" in Chinese-speaking world.